I had lost my love for Mohanlal a few years back when he started acting in movies like vamanapuram busroute to ladies and gentleman. The obnoxious Mohanlal Fans Association that exists only to howl at other actors, and his obsession to do romatic roles at oldage, have fueled my criticism for the so called ‘complete actor.’ So I had promised myself not to watch any more Mohanlal movie in the theatre. An exemption had to be made last day, when my entire family decided to go for Drishyam(ദൃശ്യം) at Q Cinemas. I reluctantly accompanied them pacifying myself that it is given 4.5stars by Kochi Times. After watching the movie, I had only one feeling. The ratings were purchased and the fans association played along well. The true review of Dhrishyan is it a strictly an average affair, with a boring first half and a redeeming second half. The first half can best be described as a lengthy moral science class. Mohanlal professes virtues of organic farming and fights corruption of a local police constable. The story picks up later with a sleazy video clip of his daughter and gripping events that happen afterwards. Second half is a true thriller and I would credit Jithu Joseph with good marks for its tight execution. The twists and turns of the second half compensates the lousy first half, to a great extent. In the perception of a common man, the climax is well executed. But legally speaking, it is totally stupid. In the movie, Mohanlal survives the long torture of the police, and does not reveal the details of the missing son of the DIG. But in the climax, Mohanlal confesses to the resigned DIG, that her son was murdered and seeks her forgiveness. The actual law is that all confessions are admissible in evidence except those made to police officers while in custody. So Mohanlal choose to confess when the disability of Asha Sharath, to hear and prove a confession, got removed. He has thereby endangered his family, which he sought to protect allthoughout the movie. Once there is an admissible confession, recovery of dead body of the missing, is of not much relevance in a criminal prosecution. So Mohanlal simply wasted all his efforts by confessing at the end, when he could have simply confessed to police, which is actually inadmissible in court. All these may sound totally insane while reviewing a movie. You may also criticise me as a law-geek, reviewing everything through grey legal glasses. But the fact is, there is a legal flaw in the climax of drishyam, and it dampend my movie experience. It does not hurt a realistic movie writer to learn law, and frame the script in the right direction. I would rate drishyam at 3*/5 – An Average Thriller. Other laymen who watched it along with me, rated it as above average, but not excellent as rated by newspapers. 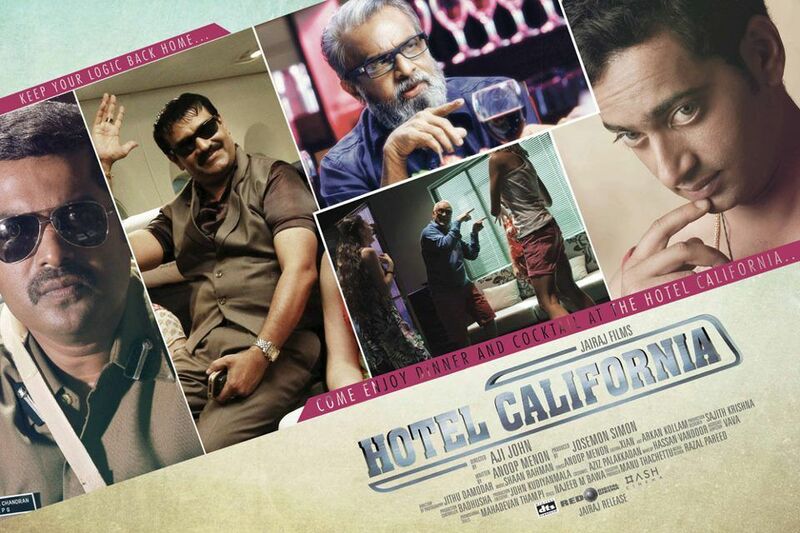 Hotel California is a celebration of new-comers! I make it a point to watch new generation movies, just to encourage youngsters of the Malayalam Film Industry. Watching Hotel California, was one such errands, that I enjoyed all though out. It is more like a sequence to Trivandrum Lodge, falling under the gene of indecorous glamour, but absolutely engaging. The movie is a collage of different lives, greed and infidelity being their theme of intersection. Jayasurya is a pimp and Anoop Menon is an actor. Apart from the successful duo, there are hell lot of other relevant characters, played by Nandu, Saiju Kurup, Shankar etc, which make the movie a celebration of new-comers and sidelined-talented actors. The success, in fact belongs to them – the underdogs of Malayalam Film Industry. It completely lives up to the expectations of an Anoop-Menon-Movie. I went for this movie to give company to a friend who read many positive reviews about it. The movie however was a huge disappointment, particularly its second half. The flaw lies in the story itself as the writer is confused where to place it, ie whether it should be a horror-fiction or a physco-reality thriller. Though the first half was gripping, the second half fell apart largely due to many loose ends and contradicting narration. 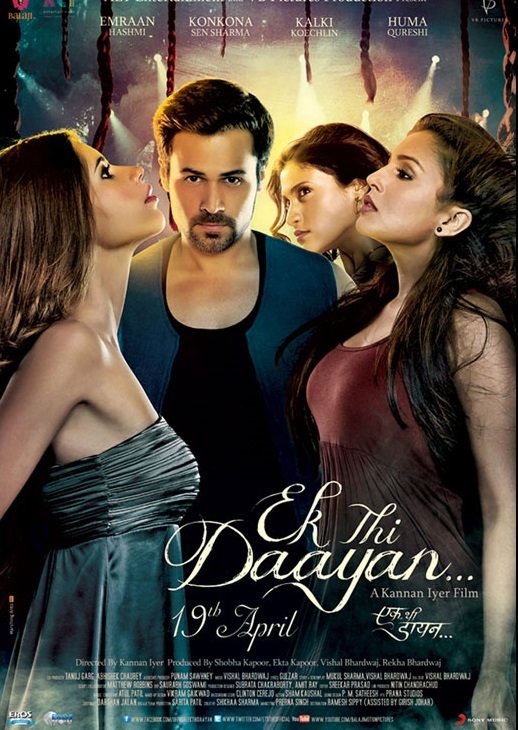 It is not Ek Thi Daayan, but Dho Thi Daayan and Emraan Hashmi himself is an unbelievable phenomenon. It is reprehensible to watch him unnecessarily smooch and bear himself, even in a supposed horror firm. Can’t he act without such degree of intimacy? There are few incidents (3 in fact) of shock and awe, but they are not worth to watch the movie in a multiplex. (2*/5) – Avoid. Lot of positive reviews are written about this movie, I hardly need to say anything. The movie is a blockbuster, without any doubt. One thing I felt relevant, is the satire depiction of Church’s corrupt politics. In the movie, a good Church is sought to be demolished and reconstructed in order to support the falling career of its Vicar. It gave me certain resonance with my own experience with Church and it current dark politics. 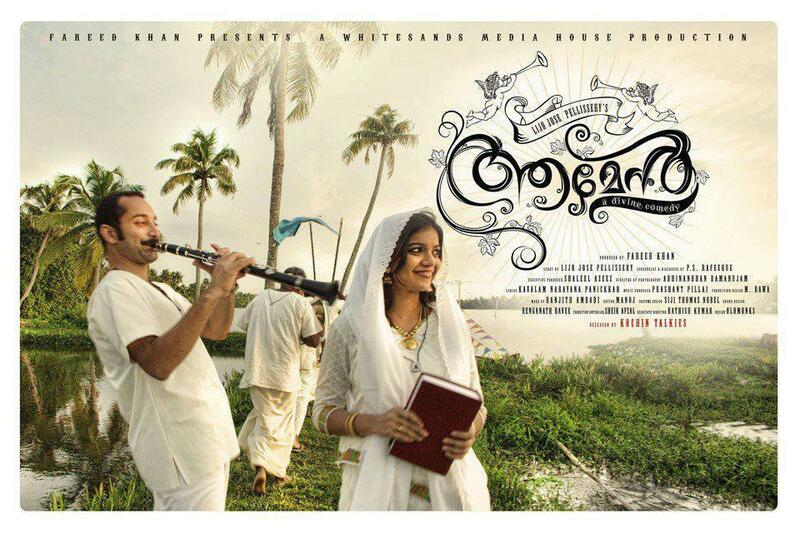 Lijo Jose Pellissery has done a fantastic work by narrating those untold practices of the Church, in the movie. Jawan of Vellimala, a casualty of collective bad publicity? Last day I saw Jawan of Vellimala in VCD. In theatres, the movie was commercially a flop. It was driven out of cinema halls within two weeks of its release. There was widespread negative publicity against the movie both in print media and social networks, when it was released. But after watching the movie in VCD, I liked it. It’s of the same standard and gene as the movie ‘Run Baby Run’. An average movie, with some good moments, that ought to have worked in box office. But it failed miserably. What could have gone wrong? I would blame it on the negative publicity, which I believe, was done in a very systematic and planned manner. Who could it be? My suspicion is on Mohanlal Fans Association. It is the biggest collective badies out there in Malayalam Film Industry. I could be wrong. But there was some foul play, during the release of the movie, which I am sure about.